Firstly it is important to state that to have good hair means to care and condition the hair correctly, therefore it is completely possible for black women to have great natural hair free from chemicals. Hair growth like all other bodily functions is affected by our lifestyle. Diet and stress play a great role in the health and vitality of our mane. The hair is the fastest growing tissue in the body after bone marrow, and it is made up almost completely of protein. As Black people our hair is different. We are the only people to have 9 Ether hair growing up towards the sun. Many western writers speak of hair having no function other than to grow long and keep humans warm but since our hair grows up then surely our hair must have another purpose. The hair follicle is the structural unit responsible for the formation of the hair fiber. The follicle is a tiny sack situated underneath the skin and the hair shaft grows out of this sack. Each hair follicle has 3-5 sebaceous glands to secrete a natural conditioner (sebum) to soften and mositerise the hair. At the base of the follicle is the dermal papilla which nourishes from the bloodstream to promote hair growth and development. The final form of a hair is determined by the shape of the hair follicle. A straight follicle (left) produces a straight hair, a curved follicle produces a slightly curly hair (middle) and a helical form produces a tightly curled hair. African hair follicles are curved in shape and the hair grows in curls also. As our hair curls it makes it more difficult for the natural oil (sebum) to travel down the hair shaft which makes our hair dry. Hair is composed of a strong structural protein called keratin. This is the same kind of protein that makes up the nails and the outer layer of skin. Cuticle – outermost layer. Looks like fish scales thin overlapping cells. The layer must be healthy to feel good and smooth. Cortex – made of rope like fibers in the middle of the hair shaft. This layer is critical from the hair’s strength, elasticity and texture. Hair straightening and colouring damages the chemical bonds in the cortex to change it permanently. Medulla – the innermost layer made almost completely of protein. The Medulla is fundamental in hair growth. It is said that this layer is not affected by products and styling products. 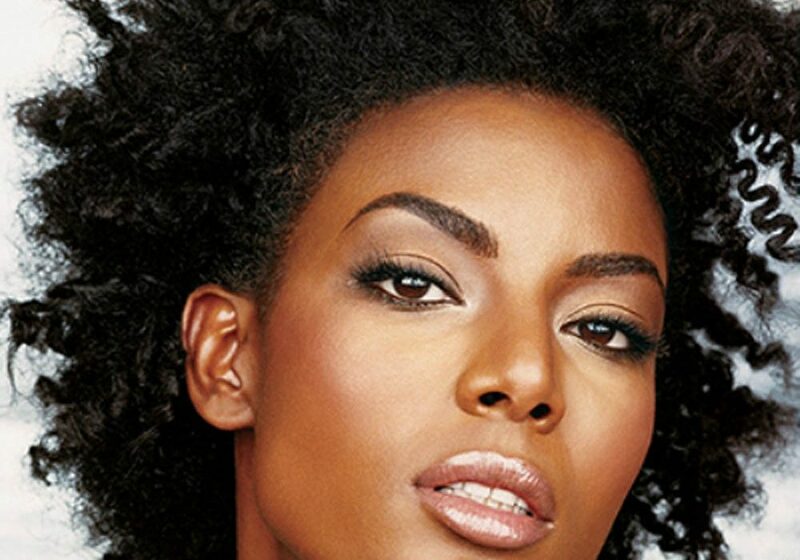 Our natural hair can curl from 10-80% of its entire length. Due to the delicacy of our hair it is important to style it when wet and avoid combing it when dry. Water is a factor of hair care we avoid when really it has the most benefit because when hair comes into contact with water it takes on it’s natural shape and becomes softer and in a state to easily absorb. At night it is advised to sleep with a satin scarf over the hair or on a pillow case as cotton/wool material takes natural oils from the hair as you sleep. To condition the hair a great alternative to petroleum and mineral oils is jojoba, coconut and sweet almond oils for conditioning because coconut, sunflower, sweet almond oils are great all-moisturising agents. The breakage of our hair is a concern to women who wish to grow their hair in the pursuit of so called beauty. The truth is our hair is prone to breakage as it is delicate due to the curls that run along the hair shaft. The hair naturally produces moisture and so should not be shampooed every day. It is best to apply oil when hair is wet/damp to trap in the moisture this would help to keep hair soft and supple. When looking for oils it is it is important to get ones which are not too light which may dry out too quick or to have an oil which is too heavy as it may clog up the hair and pores. Hot oil treatments are good in the hair but the fragranced products should be avoided due to the added chemicals. Moisture is a must so when selecting products get those which mositurise or those which are aimed at dry hair types because they will have less chemicals which stripe the hair. If shampoos causes hair to feel dry, stripped or brittle then conditioner washes may be a better choice. Conditioners are an essential part of washing hair to help repair hair and replenish natural oils. Deep conditioning is great but used once every fortnight. By covering the head with a plastic cap and sitting under the dryer for 30mins is also good for the hair but done too often can be damaging. Mashed avocado and olive oil are great ingredients to add to your conditioning treatments. Hot oil treatments are used to repair hair cuticles and restore the hairs softness, this treatment helps to control split ends, and improve hair texture. Leave-in conditioners are products many of us use but they contain so many chemicals so be vigilant. Colouring is an immense cause of damage to our hair. To be coloured the hair must be bleached before. This process breaks the bonds of the hair permanently. Our hair is weaker than that of all other peoples and relaxing makes it even worse because we are breaking the bonds in our hair structure. Our hair is prone to breakage as it is delicate due to the curls that run along the hair shaft. So when hair is relaxed it is even weaker and prone to breaking even faster. Relaxers loosen the natural curl pattern because it changes the structure of the hair to soften it. Even when using products which state ‘No lye’ this is of no difference really to how it damages the hair. The advertisements give the illusion that it is somehow safer, it may have less harmful chemicals but it still leaves the hair brittle. No matter what relaxers will always break the hair and this will never change. They are made to chemically alter hair makeup to obtain a style which is not meant for our hair. The evidence of the damage is in our face. Many women suffer with hair loss (traction alopecia), with many people experiencing thinning edges, breakages, and permanent hair loss. This is now a norm for adult women and girls. The damage to the scalp is immense and ruins the hair entirely. We are constantly going for the illusion of long, wavy hair. From the influence of cartoons and fairy tales as a child we still harbor feelings and false impressions of beauty as adults. This is not helped by the number of high profile black women who too have straight hair making everything seem normal for Black women to have straight hair. Our hair does grow and due to tightness of our natural curls the length seems shorter. Short hair is not a faux par nor is it boyish. We must acknowledge there must be a problem when 95% of our women (and an increasing number of men) are burning their hair and scalp to mimic an appearance of another group of people in order to be accepted. Chris- Tia E Donaldson, Thank God I’m Natural: The ultimate guide to caring for and maintaining natural hair Mireille Liong-A-Kong, 2004. Going Natural – How to fall in love with nappy hair.